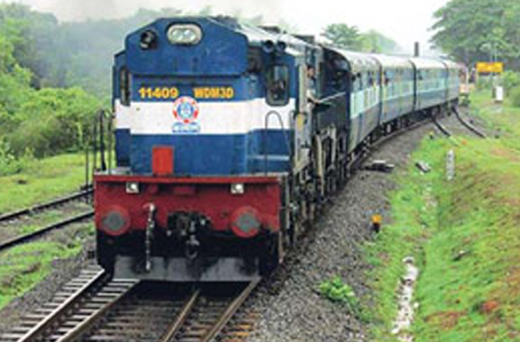 Mangaluru, March 23, 2016 : In view of the heavy rush of passengers during summer holidays, the Palakkad Division of Southern Railways has introduced a Suvidha Special train service between Kochuveli and Mangaluru Junction. The Train No.00655 Kochuveli – Mangaluru Junction Suvidha Special, will leave Kochuveli at 21.15 hours on 24/03/2016(Thursday) and will arrive at Mangaluru Jn at 11.30 hours on 25/03/2016(Friday). The train will have stops at Kollam, Kayamkulam, Chengannur, Tiruvalla, Kottayam, Ernakulam Town, Aluva, Thrissur, Shoranur, Tirur, Kozhikode, Vadakara, Thalassery, Kannur, Payyanur, Kanhangad and Kasaragod.